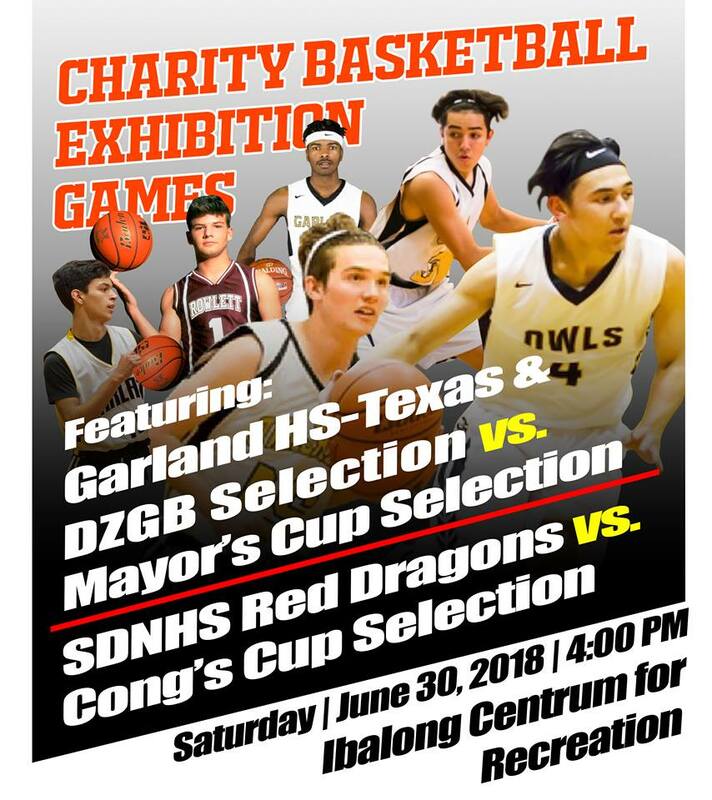 Legazpi City (June 13) – Albayano basketball fans should expect a night to remember when a team of young, talented and promising varsity players from Garland High School –Texas, USA seeing action in a charity event in Legazpi City this month . Charity Basketball Exhibition Games, a charity fundraiser for the benefit of the social services projects of PBN-DZGB Foundation, Inc. is set on June 30 at the Ibalong Centrum for Recreation, Brgy. Bitano, this city at 4:00 PM as part of the year-long activities for the 60th Founding Anniversary of DZGB-Am – the pioneer and consistent No. 1 Station in the province of Albay. Garland High School Varsity will be teaming up with DZGB Selection against Mayor’s Cup selection. A match up against the 6-peat champion of the Governor’s Cup Sto.Domingo Nat’l. High School RED DRAGONS versus Congressman’s Cup Selection has been set up for the 2nd game.